Feeling Generous: Who Will Return Goudstikker Paintings? 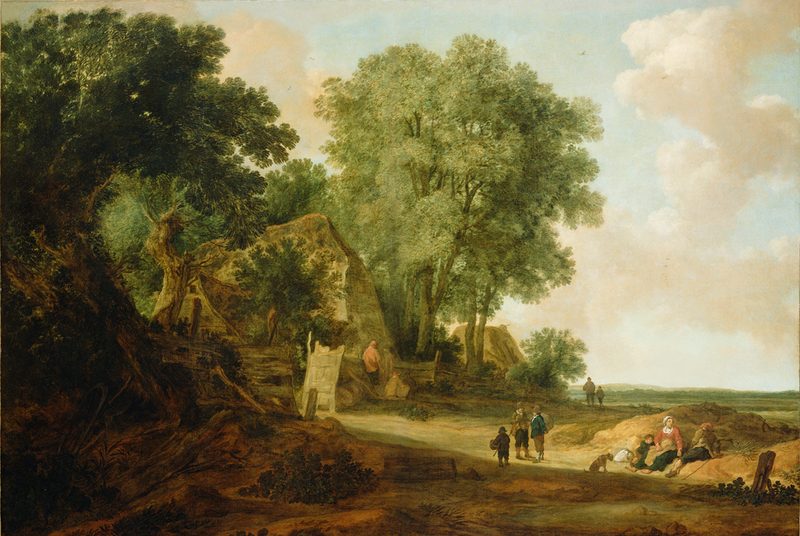 On March 28, 2011, The J. Paul Getty Museum announced that it would deaccession Landscape with Cotttage and Figures, an old master painting by Peter Molijn in order to return it to the heirs of Jacques Goudstikker, a Jewish art dealer who fled Holland in 1940. Leaving his collection behind, Goudstikker took a little black book describing about 1,400 paintings in his collection. Decades after his collection had been looted, Goudstikker’s daughter-in-law, Marei von Saher, is trying to recover as much of it as possible, including the Molijn painting acquired by the Getty in 1972 at an auction. According to the Press Released issued by the museum, the painting was never exhibited while at the Getty in … well almost four decades. “It is always encouraging to see an important cultural institution like the Getty Museum decide to do the right thing for Holocaust victims and their heirs,” von Saher, of Greenwich, Conn., said in a statement to the Los Angeles Times. Approximately 1,000 of the paintings documented in the little black book are still missing or never have been returned to Goudstikker’s family. The Norton Simon Museum, another California museum, is taking a different position from the Getty; it is fighting to keep a pair of Lucas Granach the Elder paintings that it purchased from George Stroganoff-Scherbatoff in 1971 and had been displaying continuously since 1979. The to cases can be compared and distinguished but the word is with the Supremes. The case, von Saher v. Norton Simon Museum of Art, 592 F.3d 954 (9th Cir. 2010) is now on appeal to the Supreme Court.